The GUARDIAN has called for a POLICE COMMISSION for more than 20 years in Boise–most recently in July 2013. 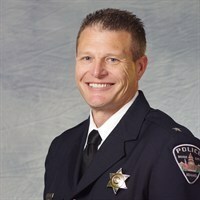 Today, Chief William Bones has announced the next best thing to a true police commission with his plans for a “Chief’s Advisory Council” comprised of Boise citizens. Hopefully, the group–yet to be selected–will be a cross section of community leaders, activists, and taxpayers. Presumably Bones will appoint the members and use them as a “sounding board” for issues including budget choices, and community concerns. Police and Fire are the two biggest budget items in Boise and currently citizens have no oversight or participation in the operation of those departments. While we have a Park Board, Parking Commission, Library Board, Airport Commission, Design Review, Public Works, there is NOTHING for police and fire. Bones’ plan is a step in the right direction. In furtherance of our commitment to a community policing model the Boise Police Department is forming a Chief’s Community Advisory Panel. The Chief’s Community Advisory Panel will serve as a resource for the Chief in the formation of strategies, development of community policing concepts, improvement of public services, and in building public trust. The Panel will be comprised of a diverse cross-section of leaders in the community representing a broad spectrum of viewpoints. The intent of the Chief’s Community Advisory Panel is to engage and collaborate with the community in a comprehensive manner with goals of increasing public safety, confidence and trust. The Boise Police Department has solicited nominations for the Panel from local businesses and community groups. Individuals who are interested in joining the Panel can email BPD at bpdChiefscommunityadvisorypanel@cityofboise.org. We will be making an effort to ensure that we have a good representation from the community and may not be able to accept every nomination. To allow greater participation by all interested parties BPD will invite new panel members every two years. I hope this works favorably and that there is good representation and not from moneyed elites like developers. Hopefully Dave Frazier applies and gets accepted. Any Serfs found complaining to the community “sounding board” will experience Extraordinary Rendition to a Black Site for Sheeple re-education. Boise has gone from the best city to drive in to the worst in 2 years because BPD no longer enforces traffic safety laws. That started when Chief Masterson left from what it sounded like disagreements with Bieter. Bieter has kept extremely tight control over all “participation” and communication channels with anything to do with the city. The amount of misinformation spewed by the city has increased at an astronomical rate. I have no faith that this won’t be anything other than a showboat to push agendas currently embedded in city politics. The city leaders remind me of those people selling blenders and vitamins on the Sunday morning radio and TV. Question: What is the percentage of Boise residents who are under the thumb of the local criminal legal fine & punishment racket? Currently participating as well as those marked but now clear of extraction system for a few years. Question: How many people think a city police force should consume 30% of the TOTAL city budget? Don’t hold your breath for a good next step, Dave. Bones said on one of the local TV news reports (“news reports” used loosely) that they have been working on this modest step for 3 years. Not the same as a “Police Commission”. With no authority or regulation, the city might as well simply use email comments for an “advisory panel”. And if the panel just kisses __ up to BPD and tells them it is all roses and sunshine, then there might as well not be a panel at all. Alternatively, imagine being on the panel— being critical of the enforcement, and then having an encounter with BPD- good or bad, it could become very complicated. When a LEO is a suspect of crime, another dept takes charge to eliminate bias, right? Does anyone think BPD will do that for a regular citizen on the panel or ‘anyone’ critical of the department? In the current context, it’s kinda like The Guardian being excluded from “the press” by City of Boise. When authority doesn’t like what they hear, they turn down the volume or simply change the station. Much like Trump’s Economic Advisory PANEL, I expect when things don’t go well for the city, they will simply end it. Hello, Ombudsman? If a comment on a previous post is correct, there are 10 officers (out of God knows how many) whose job it is to write traffic tickets. Optional for the others. That means that there will be more people on the advisory board than cops writing traffic tickets.